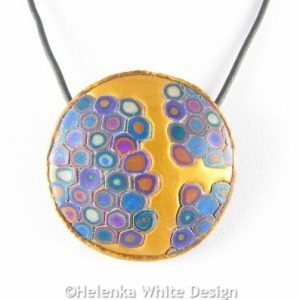 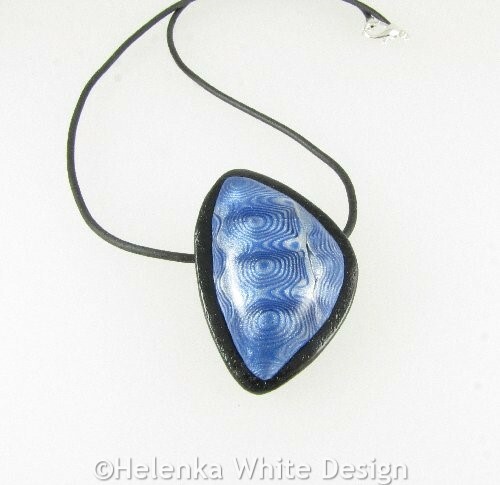 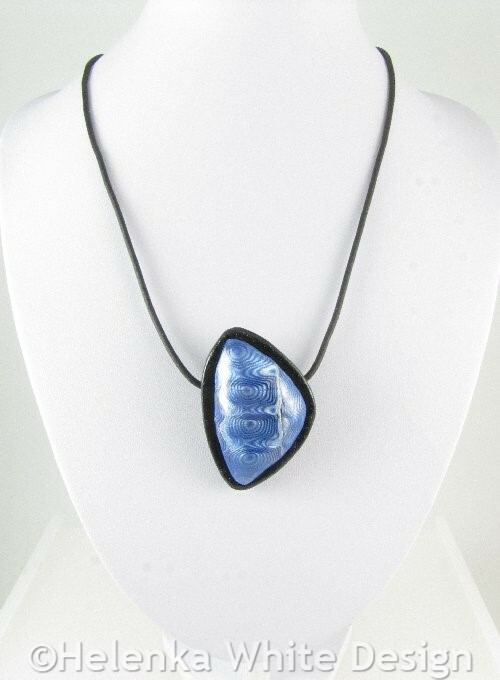 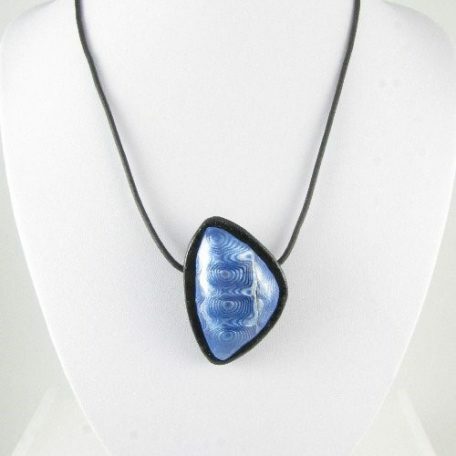 If blue is your colour and you like unusual designs, then this pretty silver & blue silver Mokume Gane pendant might be for you. 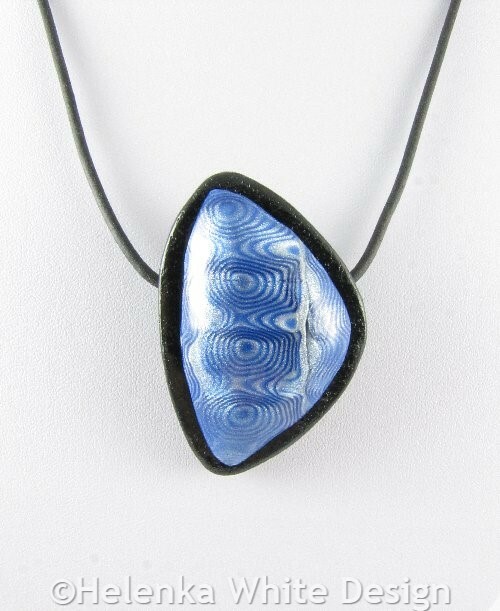 It’s made with blue, silver and black polymer clay using the ancient Japanese Mokume Gane technique and a ripple blade. 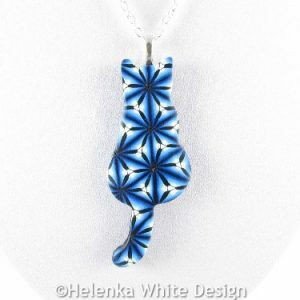 I love the randomness of this technique as you can never predict the outcome. 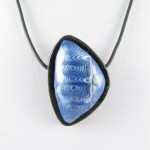 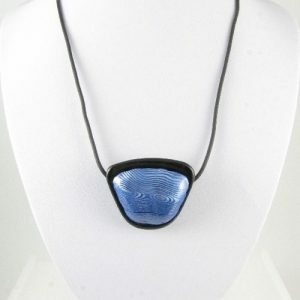 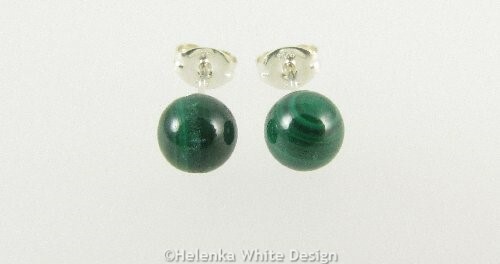 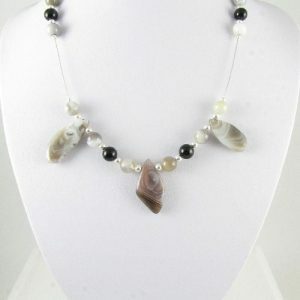 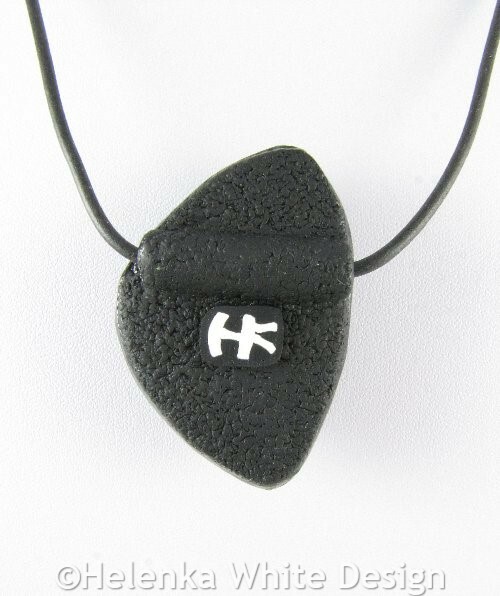 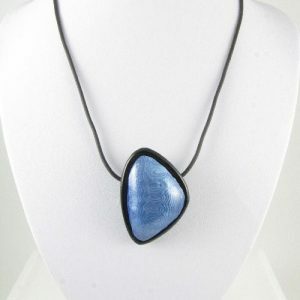 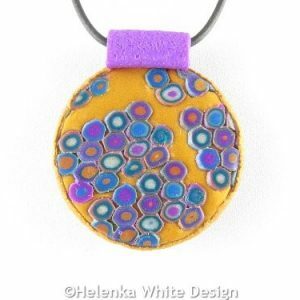 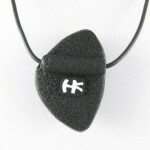 The pendant hangs on buna (rubber) cord and closes with a silver plated lobster clasp. It has a texture back and a slice of my signature cane. 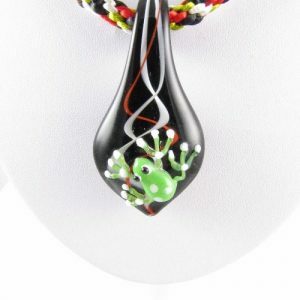 Length: The buna cord measures about 18 inches (45 cm), the pendant measures about 3,5 cmm at its widest point across and is 5 cm long.